According to today's generation, everyone having an cellphones or Android Smartphone etc. We all love to download different- different application on our phone. 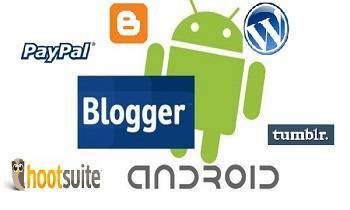 So today i would love to write on android apps for bloggers or for webmasters. Generally these phones are costly, if you are not able to afford it than you can also download these apps from your PC. Our technology increasing rapidly from time to time. And Google is the most prominent word in the field of blogging and marketing. According to latest survey Android phones become the leading Mobile Phone operating system. An blogger can not able to sit in front of computer at 24 hours. He/she have to but an android phones to see updates regarding their blogs/site. So today i will be going through the Android Applications for Bloggers and Webmasters. Hope the list which i mentioned below is helpful for you. Lets have a look!